I'm going to a Chris Brown concert (YAY!) on September 25th and I have no clue what I'm going to wear. I was wondering if you could help me out and give me some fun and funky outfit suggestions. I'm pretty much open to any and everything so feel free to go crazy lol. Thanks! First up are some casual looks for those who like to enjoy a concert while being as comfortable as possible. This doesn't mean you can't be cute though. Throw on one of your favorite tees, some jeans and flat shoes. You can always glam it up with jewelry or a hat. This is a casual chic look that is semi-dressy. Find a nice top and pair it with skinny jeans or leggings. Accessorize with a bold pop of color and/or prints to make it fun. If you want some height without sacrificing comfort, try some wedges. 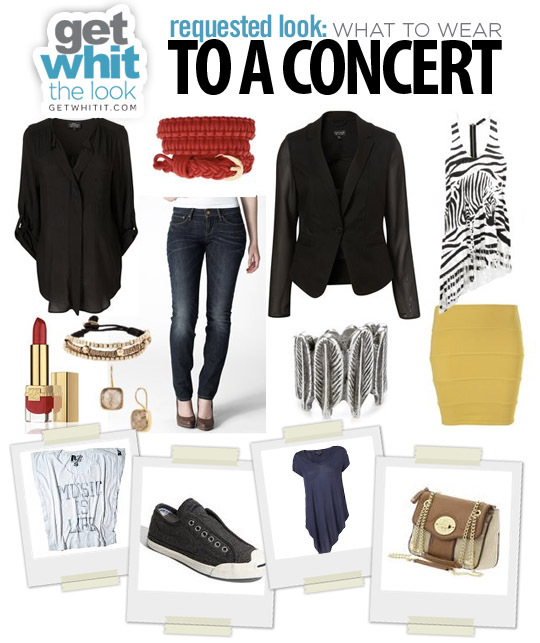 For those who like to dress to impress at concerts, this look is for you. A cute print tank with a neon bandage skirt will make you stand out in the crowd. In late September, it may start to cool down outside, so throw on a structured blazer to finish the look. If you feet can stand it, wear heels or opt for wedges. Bring a pair of flip flops to change into! We really hope that this blog post on test dpc 3.0.11 apk download and testdpc On the off opportunity that you are looking for a standout among. I nonetheless hear echoes of free online movies my child voice in my head: "Let me go with you, Da. Please!" If you opt to register with your google account, zoosklogin you could take a present photo of on your own from numerous angles.